CLOSEOUTS. 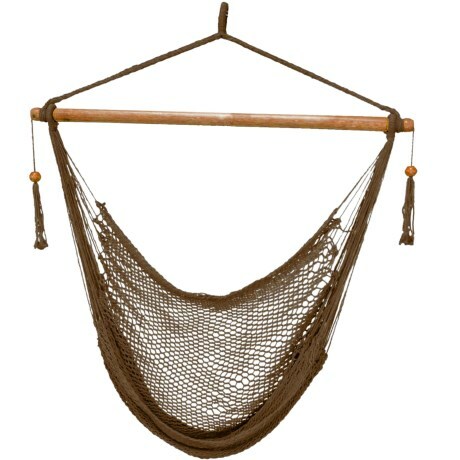 No patio, yard or back porch is complete without Bliss Hammocksand#39; Island Rope hammock chair, handwoven from soft recycled-cotton rope for unbeatable comfort and relaxation. Available Colors: BROWN.